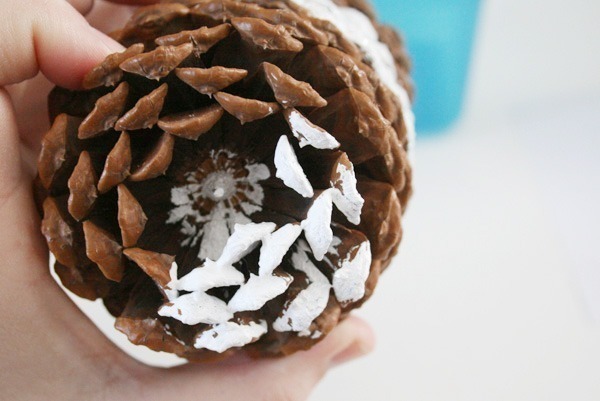 Today we’re going to make some simple, faux snowy pinecones! I have set a fairly weighty task for myself this year. It is currently my plan to make every little bit of Christmas decoration that I can to accompany my “fancy” tree this year. My “fun” tree that goes in the dining room, however, is still store-bought game. Every year so far my fancy tree has been glitzy with lots of metallics, glitter and the like. Last 2 years, specifically, it was gold, brown and bronze and gorgeous but I’m ready for a change. The plan for Christmas living room decor for 2012 is natural glitz! I’m planning on using as many natural things as possible and nix most of the glitter to make my tree something special. 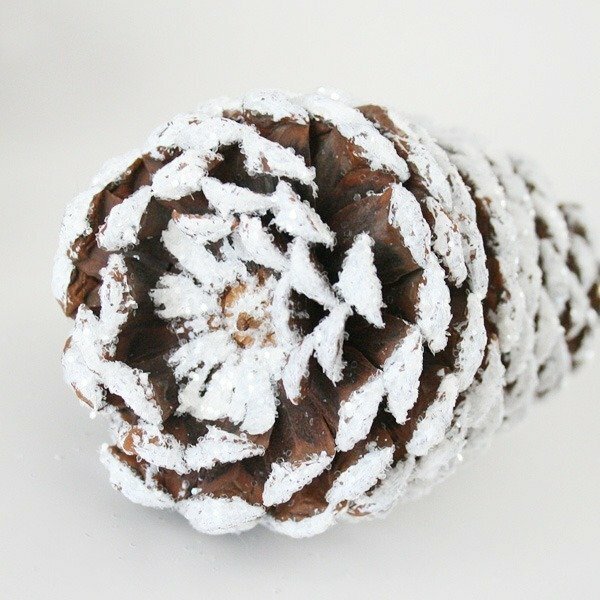 The first project I have completed are these fantastic faux snowy pinecones. The pinecones themselves I purchased at the most depressing garage sale EVER. Not too keen on salesmanship, the lady kept explaining to me the dead person who most recently owned the item I was holding. She even asked if I would like to purchase her dead brother’s foot massager. Sorry, but no thanks. Now I know that I’m technically using glitter in this post, but in my opinion white glitter isn’t glitzy and therefore is fair game. 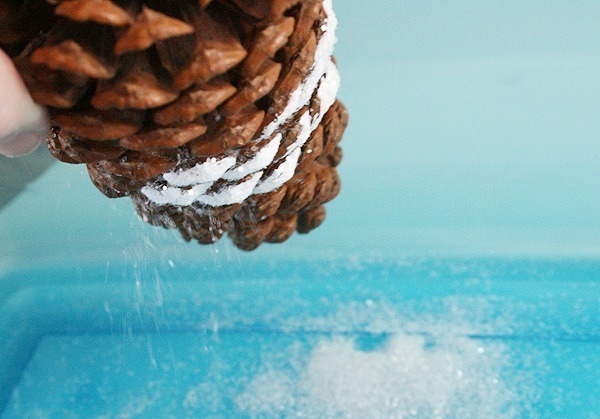 Plus, it really looks like natural snow from a distance. And as a gal who actually removed glitter from her sinuses with a neti pot, I think I know a thing or two about glitter. 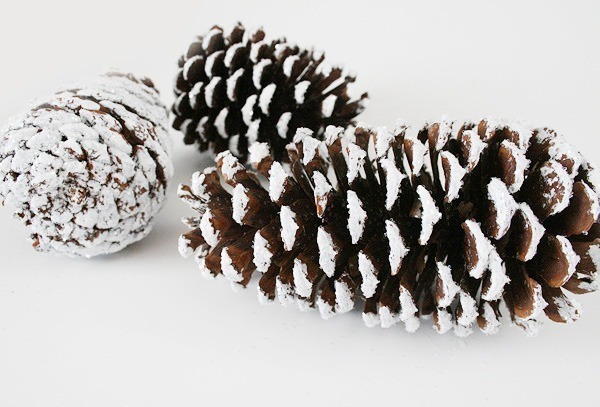 You’re going to work with your pinecones in small sections. Crudely paint the edges of the cone in a localized area. Quickly take your glitter and shake over the wet paint. By doing it this way, we don’t have to mess with glue. 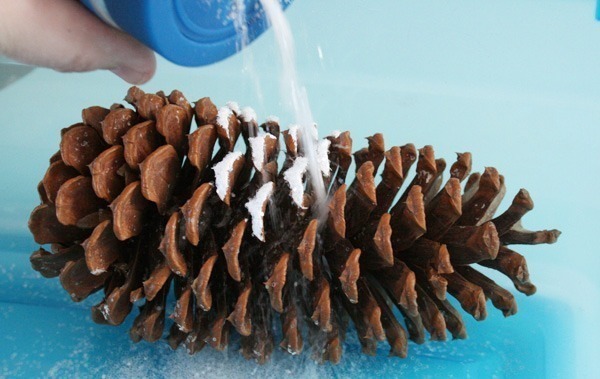 Turn the cone over and shake the excess. Repeat with paint and glitter until you finish one side. 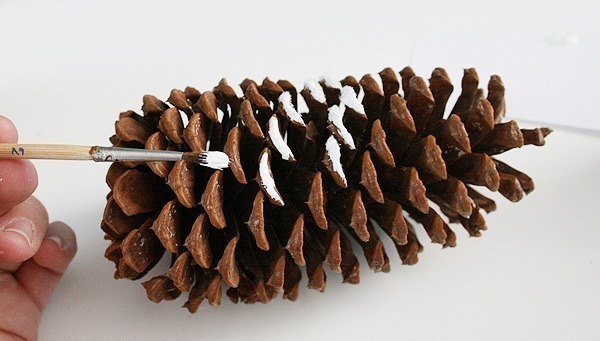 Allow to dry and begin working on another pinecone. When you work on the top portion, cover a bit more of each scale, including a bit underneath. Daub some paint inside of the concave portion of the top if it is shaped that way. If the top is fairly flat, just put a bit more paint that you did along the sides. 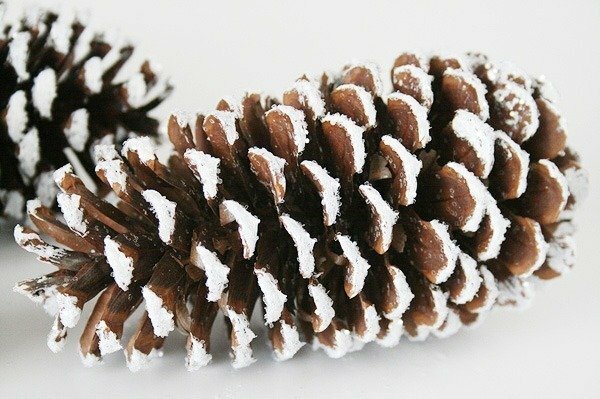 Finish pinecones with spray polyurethane to help protect your home from the plague that is Christmas glitter. 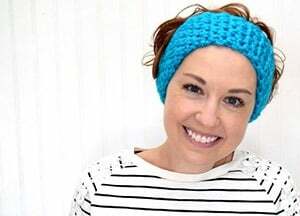 It won’t keep your home, hair and skin 100% free of the highly contagious craft material but it will tamp it down considerably. If you're adding a string or wire to hang this up, would it be better to do so before or after? It would be a lot less messier & easier to just use glitterglue or glitterpaint! Absolutely much easier and less messy, but I love the look of loose glitter better!